A new study should give pause to anyone thinking about getting a tattoo because of some unpleasant surprises for many people who get them that most don't know about. 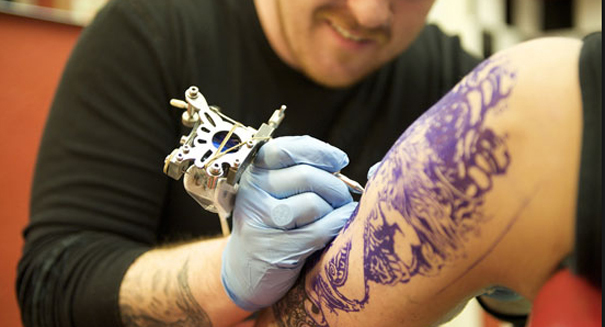 They’re cool, vibrant, and a little rebellious: tattoos can be fun to get at first, but a new study has found some unpleasant realities that come for many people that decide to ink up. Most people probably don’t know that there are plenty of complications that can come with tattoos, but a recent study that was published in the journal Contact Dermatitis found that up to 10 percent of people see nasty skin flare-ups as a result of their decision — and sometimes, those conditions can last for a long time, according to an NBC News report. Researchers interviewed 300 people at Central Park in New York City — 149 men and 151 women who were at least 18 and had gotten their tattoos here in the United States — and they found that 4 percent of those who had opted for a tattoo got a skin rash. And, even more worryingly, an additional 6 percent earned skin problems that were still there at least four months later. And it wasn’t just your typical rash, either, especially if for those who opted for a color tattoo. The skin reacted by becoming raised and scaly, and in some cases the skin was about a centimeter higher than the surrounding skin. There were also itchy and raised rashes that were in some case filled with edema. Still want to ink up? Well then at least steer clear of red pigment, which seems to have the most severe effects for people. Of course, it shouldn’t turn off most people to getting tattoos, as that still means 90 percent got their tattoos with no problem. But it should make people think a little bit more before jumping in with such a “rash” decision. The study found that those who have allergies tend to be more affected by tattoos — two-thirds of those who reported skin conditions also had allergy problems, versus one-third who did not — so that should certainly play a factor in one’s decision.